Little boy posed as if alive. The clipping says he died as the result of being burned by hot grease. He is very lifelike, but is deceased in this photo – have doubts? 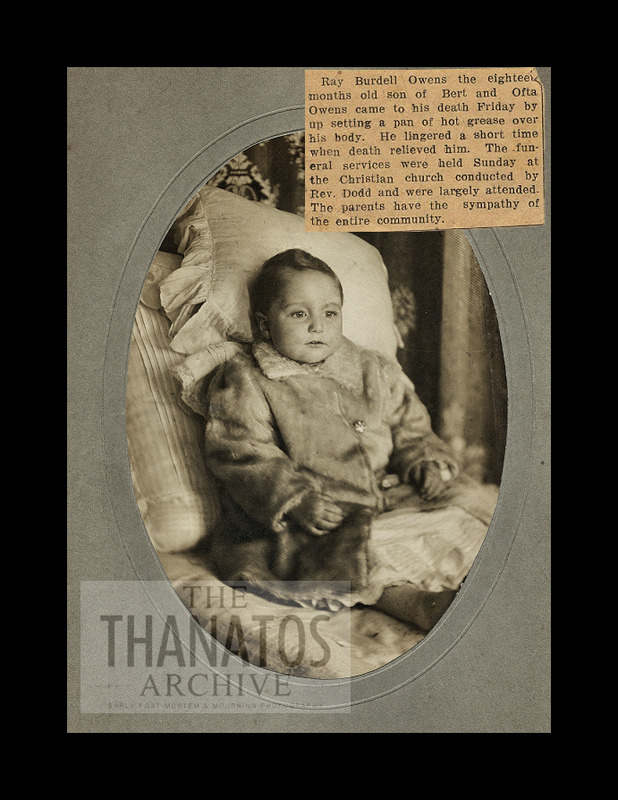 Click below to see another post mortem of him, with his eyes closed, and more burns visible. You must be a Thanatos Archive to view! Thank you. Boo!! I did not realize my subscription expired!! See you as soon as I find money, I am on disability… I really have enjoyed your site, you are the best! Thanks, Tami! Sorry I didn’t give you a warning.. I am running the site myself and have fallen way behind on that!